The Peak Forest Tramway was a 4' 2" gauge plateway opened in 1796 or 1797. 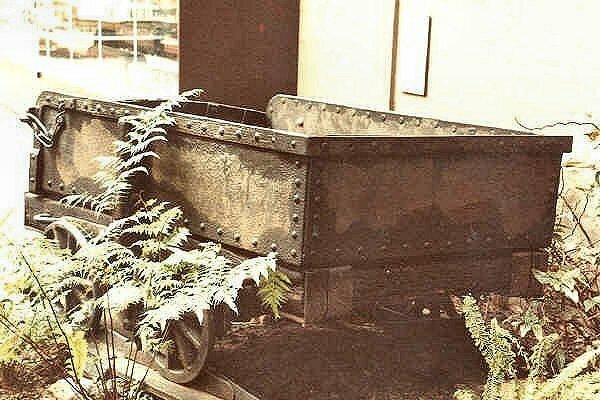 Horse drawn end tip wagons carried limestone to the Peak Forest Canal basin, for onwards shipment by canal barge. Rails were laid on stone blocks at 3' centres, the length of the rails (otherwise known as plates). Peak Forest Tramway Limestone Wagon 174. National Railway Museum 21st April 1984. Benjamin Outram was the line's engineer. The line ran for 5.5 miles from the Peak Forest Canal to lime quarries near Buxton. Rails were ordered from Butterley Company December 1794. The line was completed in August 1796. The Peak Forest line was 6 miles long and was used to carry limestone. A feature of the line was an inclined plane 1,545 ft long, falling 204 ft, a slope of 1 in 7.5. 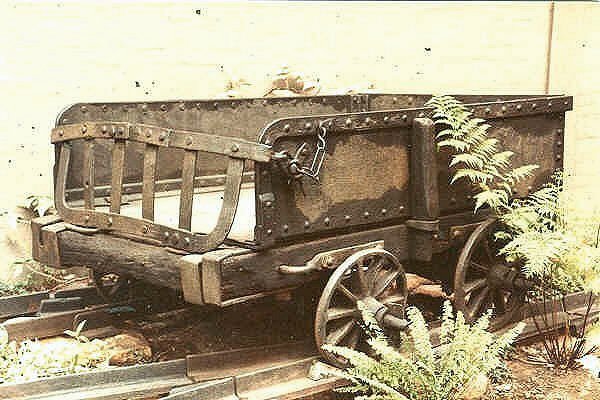 An iron loop was fixed to the solebar slightly ahead of the leading axle of the wagon. The horse harness had a chain attached which terminated in a hook - this hook was engaged in the loop when the wagon was to be moved. Peak Forest Tramway Limestone Wagon 174. NRM York 21st April 1984. Notes from British railway historian Bertram Baxter. The line had a self-acting inclined plane 600 yards long with a fall of 4 ins per yard (a gradient of 1 in 9). The line had the earliest know horse-drawn tramway tunnel at Chapel Milton, 100 yards long. The Peak Forest line was bought by the Manchester, Sheffield & Lincolnshire Railway in 1883 (later renamed the Great Central Railway). The Peak Forest Tramway route continued in operation until closure in 1922.